Do you have a SSD drive that is too small to hold all your Games or Software? 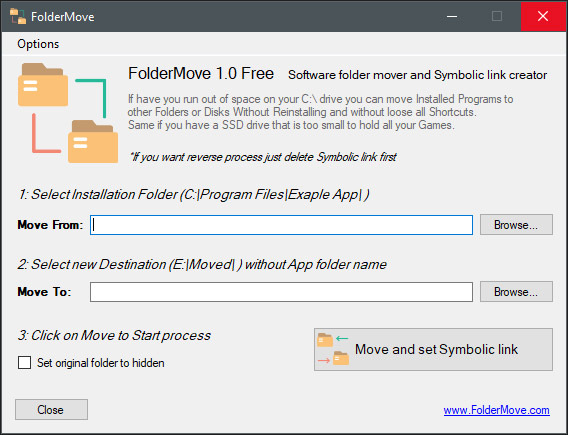 Move the installation folder of a Program or Game to other drive, without breaking it or reinstalling. A symbolic link will be created from the old directory to the new one. Free and Portable.